I accidentally happened upon this method as I was filling in a purple hydrangea painting. The petals were initially free-handed in a light sienna tone. 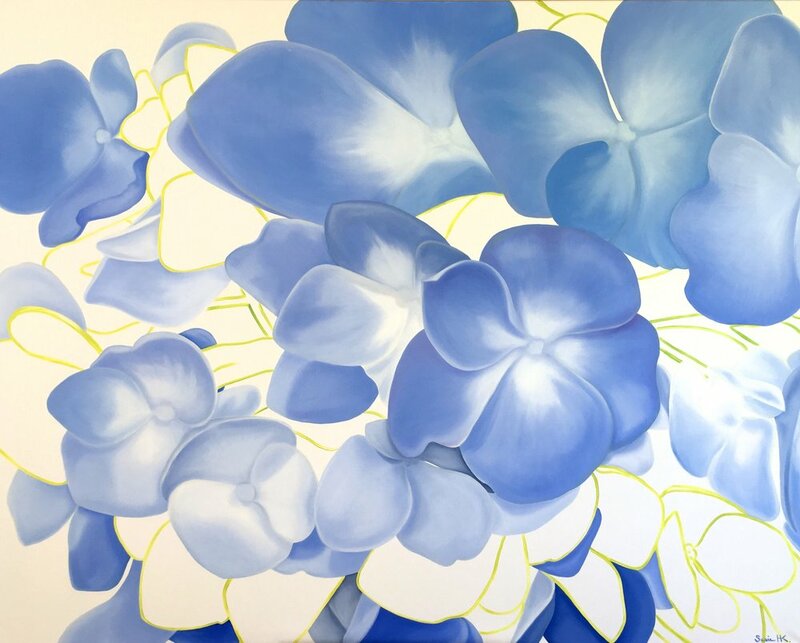 As I filled in the flowers, I LOVED how the soft petals floated throughout the canvas. Needing something to ground the painting, I made the lines more crisp in shades of yellow. With the advice of another artist, I decided to keep at it and see how the rest would develop. So happy with where these are going, more to come!